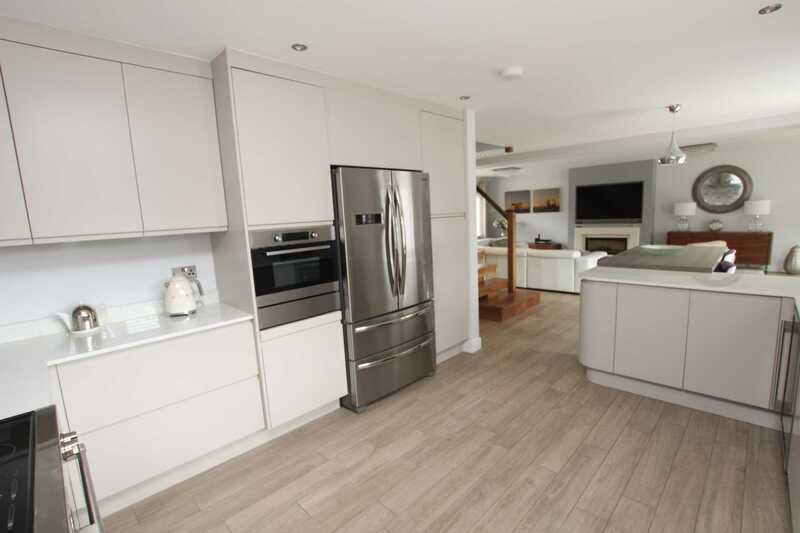 Considered to be one of the finest houses of its type currently on the market and completely refurbished in 2017 to the highest standard by the present owner with no expense spared. 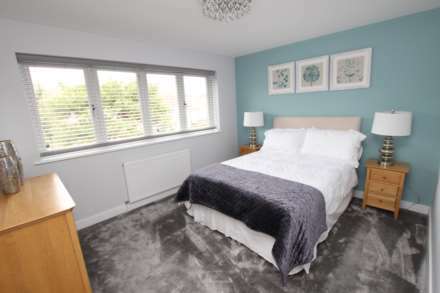 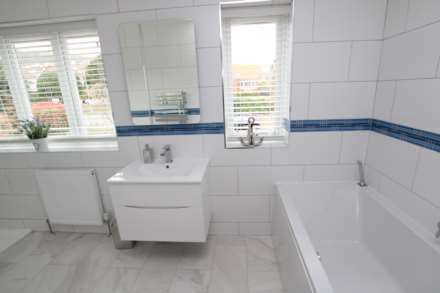 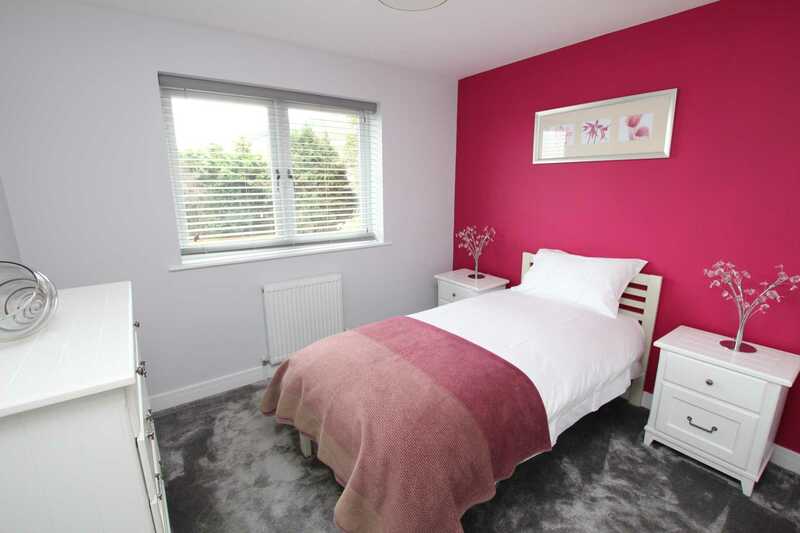 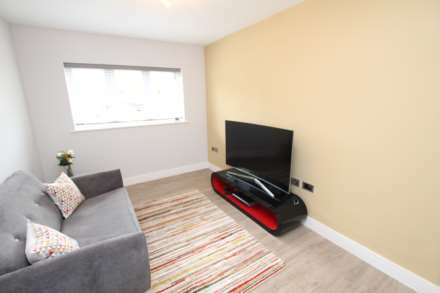 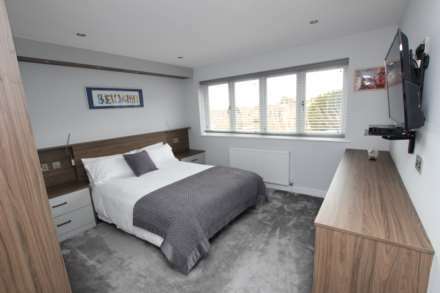 The refurbishment included a new roof, re-wiring, a new gas central heating system with underfloor heating to the ground floor, and high quality double glazed windows. 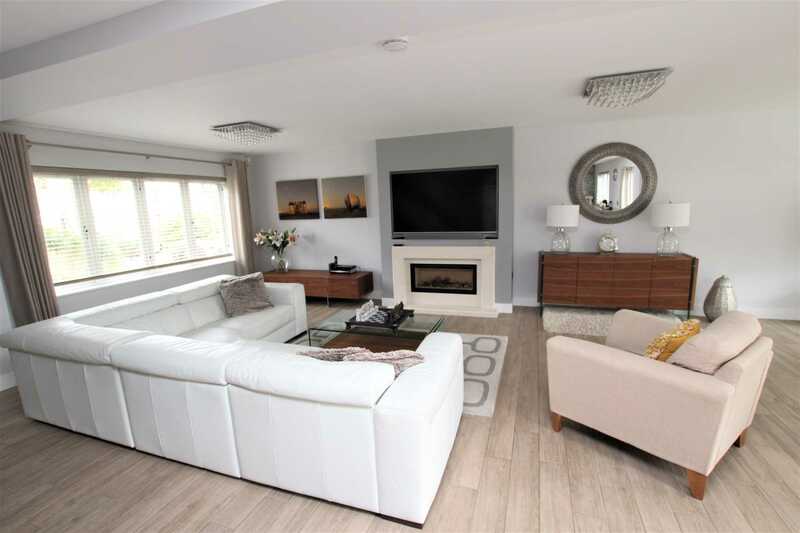 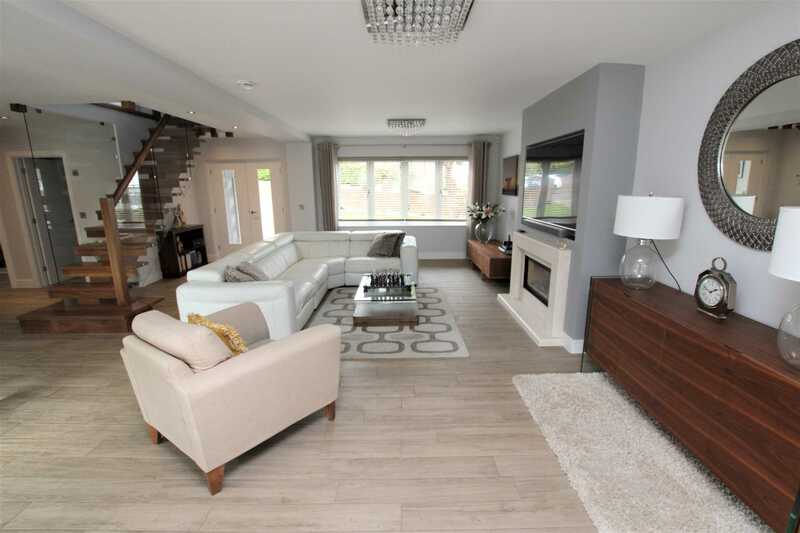 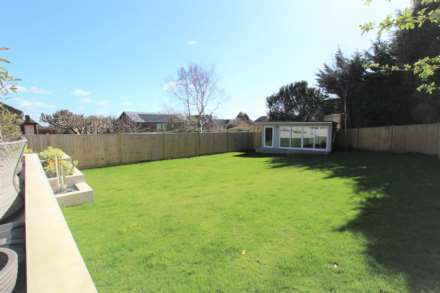 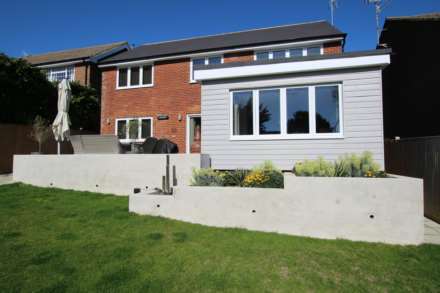 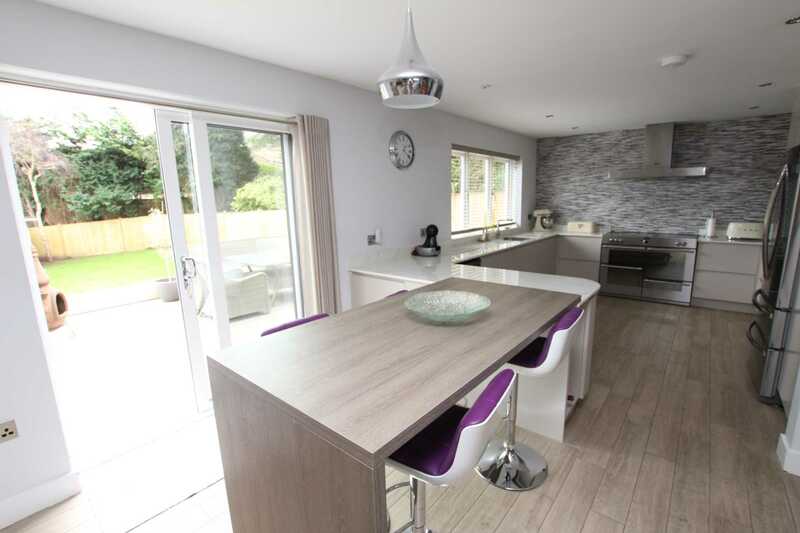 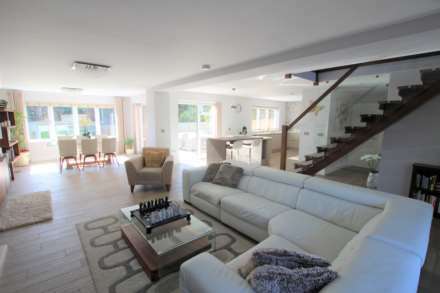 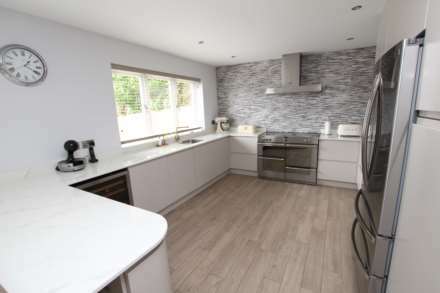 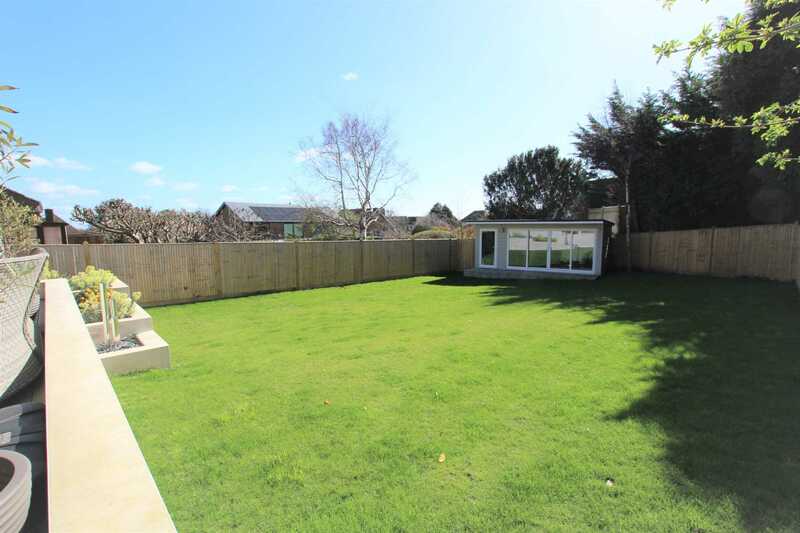 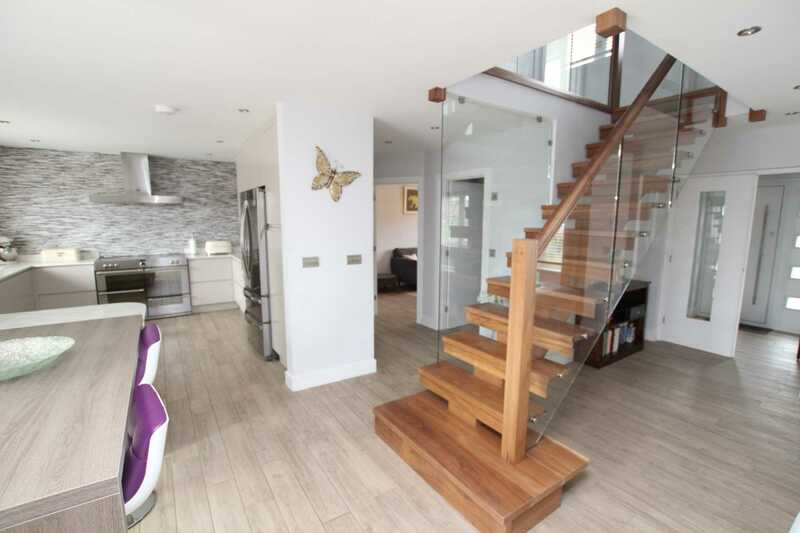 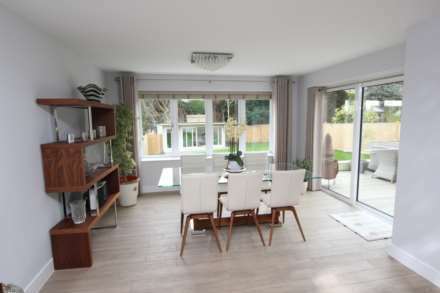 This truly outstanding detached residence of individual design has been re-modelled in a contemporary style and features a wonderful 26` x 14` triple aspect living room open plan to a 22` x 11` Mackintosh designed kitchen/family room. There are two pairs of patio doors that open onto the delightful southerly facing decked terrace that leads to the lawned garden beyond. The kitchen area includes a comprehensive range of high gloss soft-close wall and base units, and pan drawers beneath Dekton marble effect worktops. 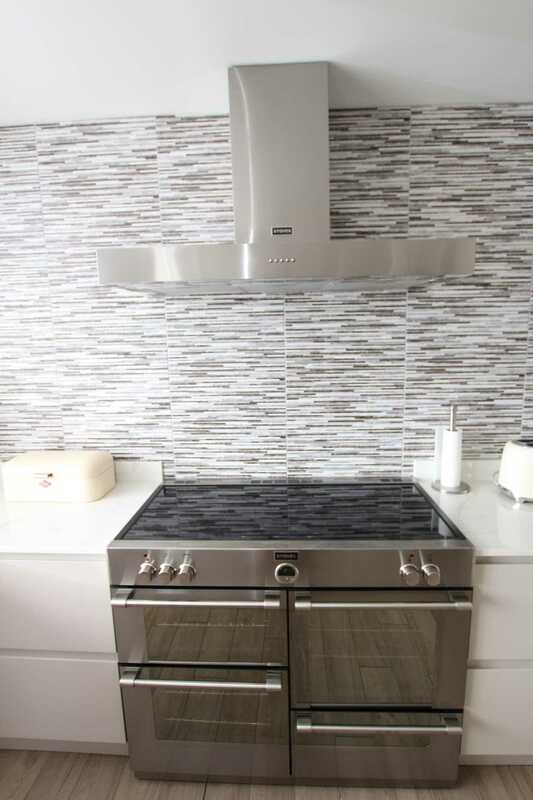 Integrated appliances includes a Miele dishwasher and combination microwave. 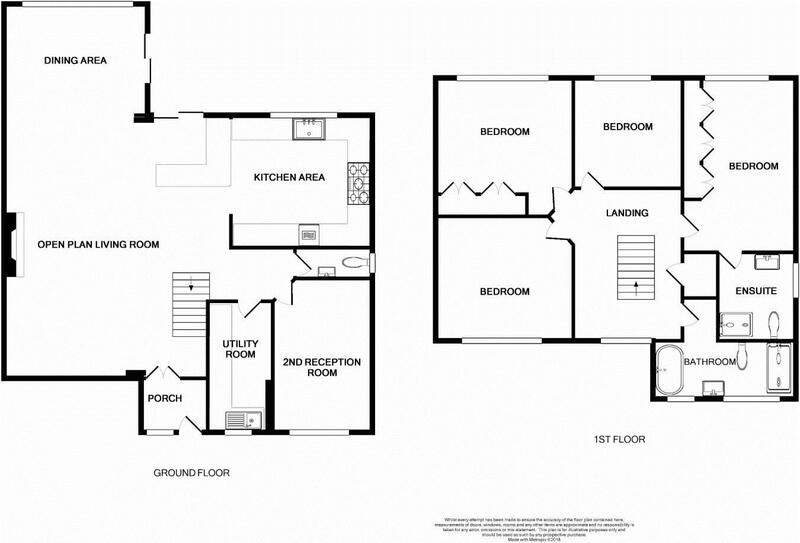 In addition to the open-plan living space there is a comfortable second reception room/study, a utility room and cloakroom/wc. 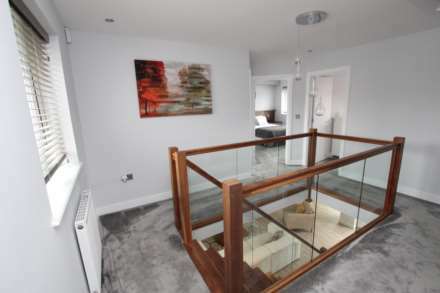 A magnificent American walnut open tread staircase, with glazed side panels, rises to the galleried first floor landing where the four bedrooms can be found, two of which are fitted with high quality bedroom furniture and the master bedroom has a luxuriously appointed en suite shower room with over-sized shower cubicle. 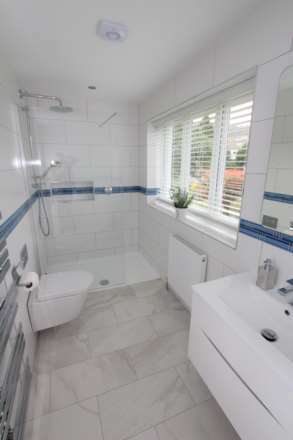 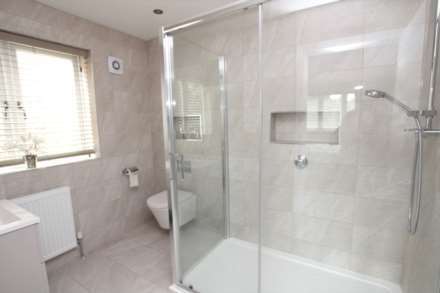 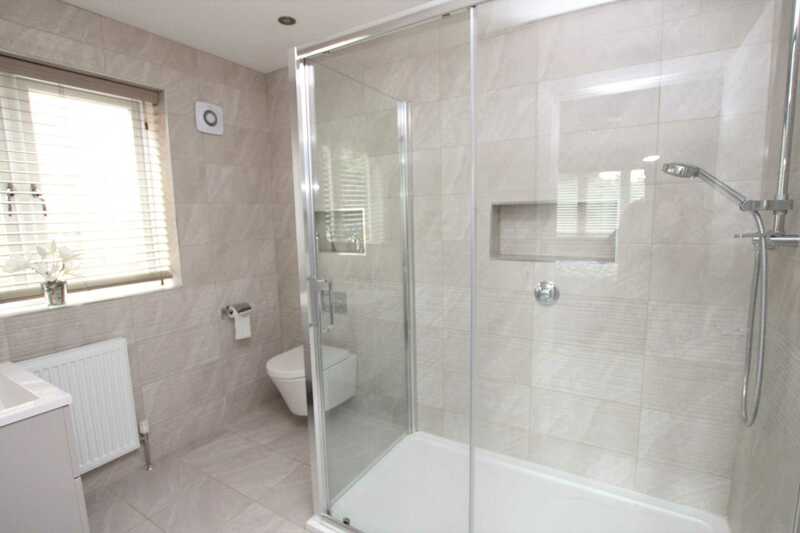 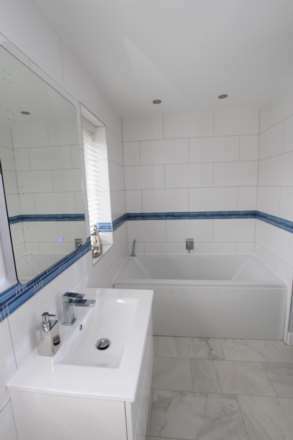 The family bathroom is equally well appointed with both a bath and over-sized shower cubicle. 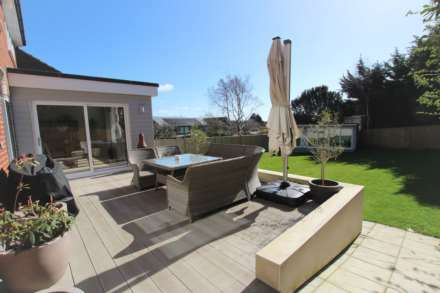 The house is set within beautifully landscaped southerly facing gardens and views to the South Downs and the sea in the distance are enjoyed from the first floor. 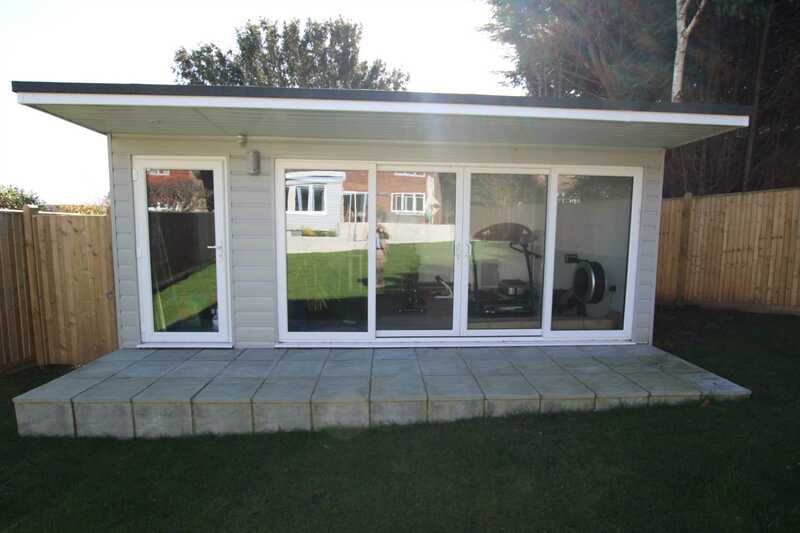 Of particular note is the newly erected studio with adjacent storeroom in the garden which could be used as a home office or gymnasium. 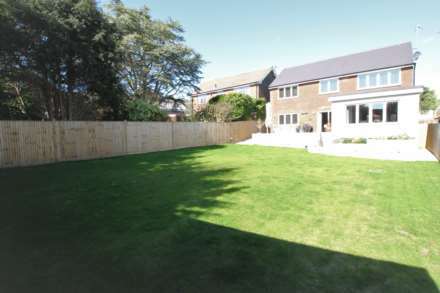 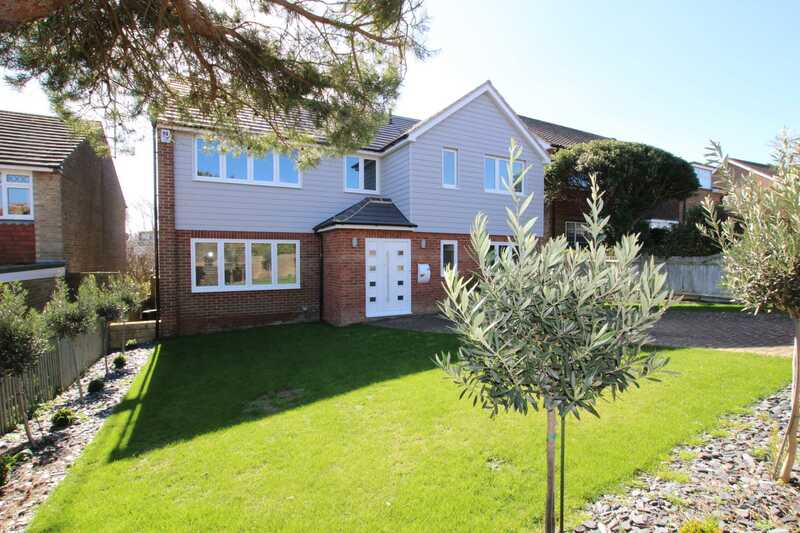 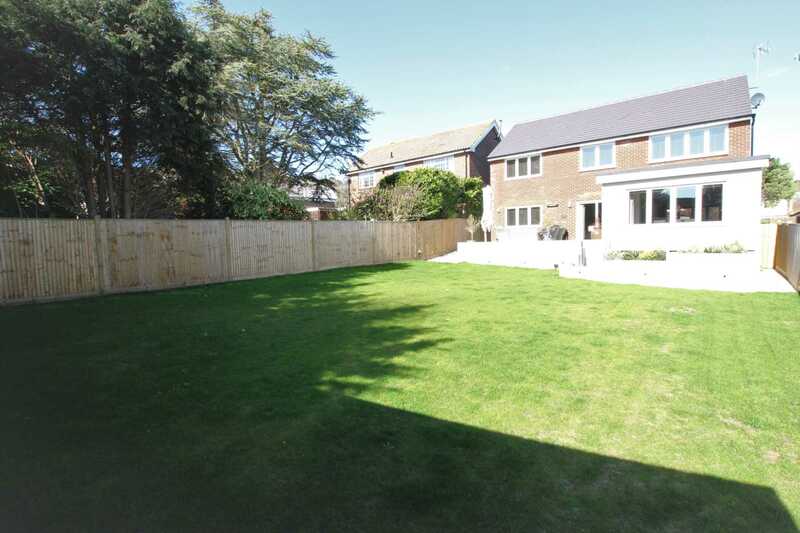 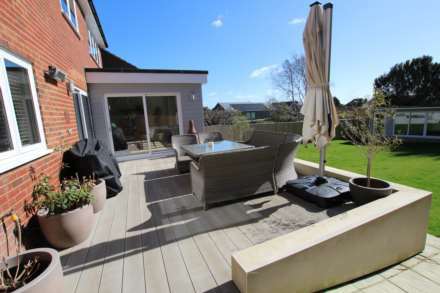 Situated in the favoured Summerdown area, the house is conveniently located with the Gildredge House Free School, shopping facilities, including a Waitrose store, and the Royal Eastbourne Golf Course in the vicinity. 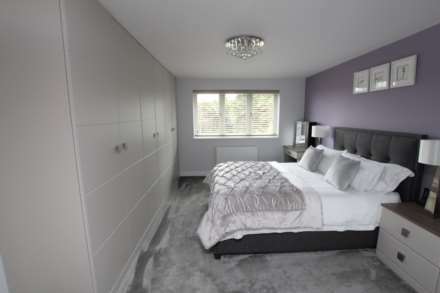 including depth of wardrobe cupboards to one wall. 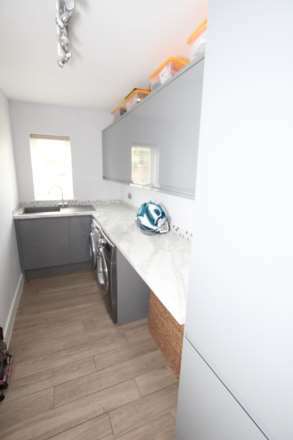 including depth of wardrobe cupboards.